As you know, Ukrainians have already celebrated Christmas, which was on 6-7 January. We have already told you about Christmas traditions; however, we have skipped the topic of traditional Ukrainian Christmas dishes. To correct our mistake and to tell you what you can expect from Christmas meals if you come to Ukraine on this holiday, we are going to tell you about what people eat at the festive table. Every Christmas dinner consists of 12 dishes, which corresponds to the number of months in a year as well as to the number of Christ’s apostles. Before putting the dishes on the table every housewife has to put several cloves of garlic under the tablecloth to keep evil spirits away. It is also a must for every person at the table to try each of the twelve dishes, but the first of Ukrainian Christmas dishes that everyone has to try at the festive dinner is kutia. In fact, kutia is the main dish of Christmas Eve. Our ancestors believed that starting the meal with kutia people took care of the souls of their dead relatives, since when a person eats wheat grain mixed with honey water, the souls in the beyond also feel sweetness and happiness. Every constituent part of kutia has its own meaning: wheat grains symbolize life, which passes and then regenerates. Poppy seeds present the souls of dead, and honey is the symbol of happiness from the good news that Christ was born. Bread is also one of Ukrainian Christmas dishes and is presented in the form of small white loaves (kalachi) and patties. Bread is the symbol of life and harvest. People used to bake Christmas bread with something bringing luck, wealth and protecting from failures in it, like garlic, peas, small coins, etc. Ukrainian people like different salads; therefore every festive table has vinegret on it. It is a cold salad made of boiled beetroot, potatoes, haricot, carrot and sauerkraut or pickled cucumbers. It is also important to remember to put spring onions or large onion in it. The list of Ukrainian Christmas dishes would not be full without uzvar – a traditional drink which cannot be replaced by any other drink. It is usually made with dried apples and pears, since our ancestors believed that these fruit contain sun energy. So, drinking this beverage they asked the sun to give them extra strength and bring sunlight into their life. 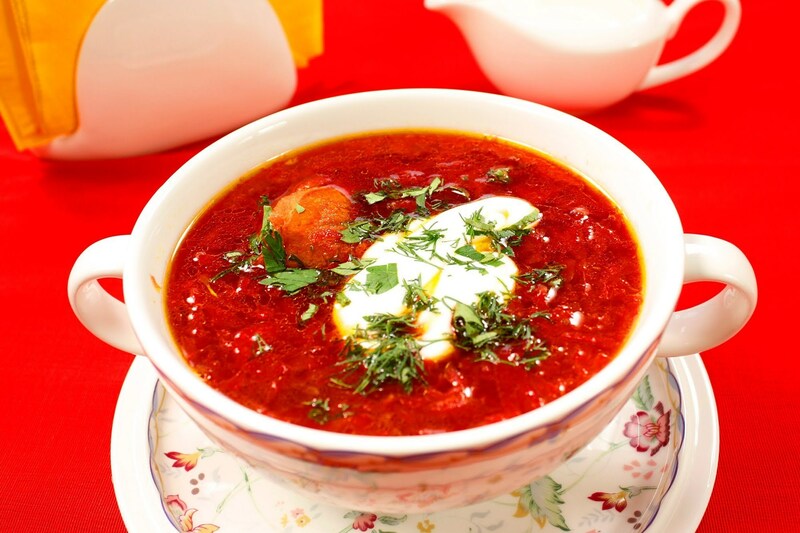 None of Ukrainians can imagine Christmas meals without probably the most famous Ukrainian dish – borsch. Traditional Christmas borsch is made with beetroot kvass, beetroot itself, water and mushroom broth, which adds taste. If you are lucky to visit a Christmas Eve dinner, you will definitely find different pickled vegetables on the festive table. They are an inseparable part of Christmas dinner since they are good with every dish and add some taste of the summer. 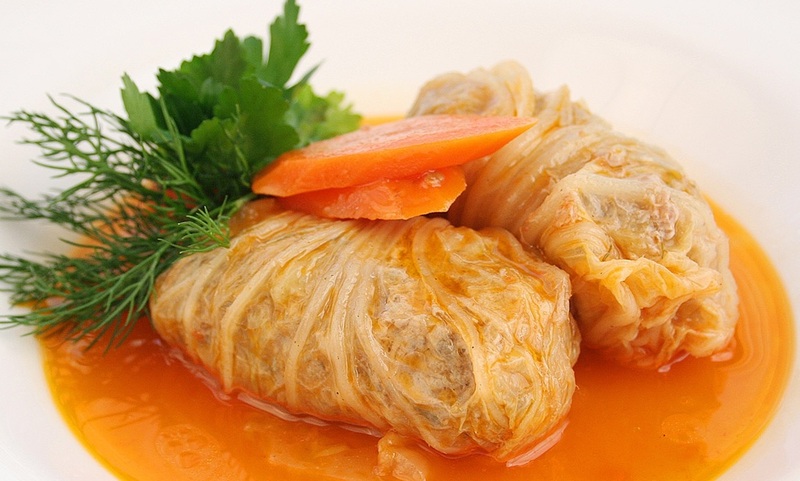 Holubtsi is one of the most favorite Ukrainian Christmas dishes among Ukrainians. They are made with wheat porridge, buckwheat, rice or ground potatoes with meat covered with cabbage leaves symbolizing the continuation of the family. (In Ukraine it is traditional to tell small children that babies are found in cabbage). Many Ukrainians associate Christmas dishes not with meat, but with fish, which is not a “frequent guest” at the New Year table. Nevertheless, at Christmas Eve you are likely to taste fish of different kinds: fried, baked with vegetables or fish in aspic. Vareniki is a traditional Ukrainian dish, which has always been considered a festive one and made for great holidays like Christmas. 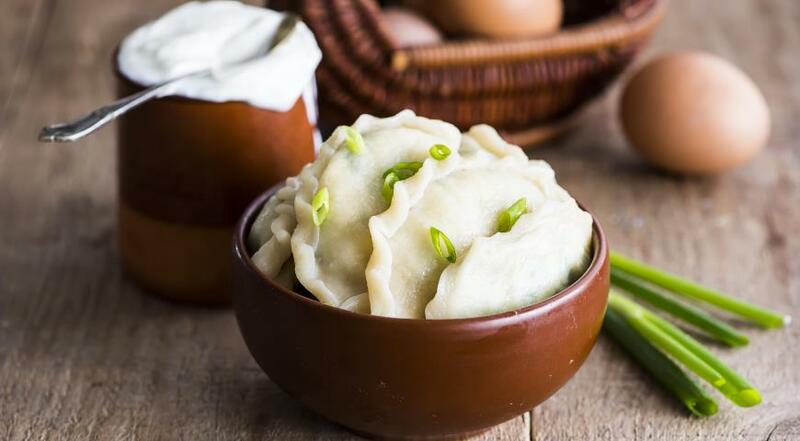 Plump, filled with different fillings, both sweet and salty, vareniki symbolize the continuation of the family. Cabbage and pies is not frequently made as one of Ukrainian Christmas dishes nowadays; still a couple of generations ago it used to be an inseparable part of every autumn and winter holiday. Cabbage and pies at Christmas table is like soup or plain porridge, which is very good for your health. 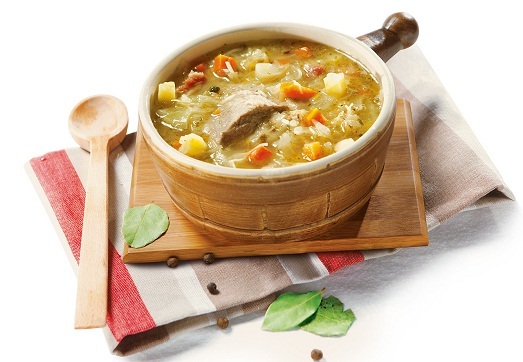 Kapustniak or cabbage soup is also one of the dishes you can find at Christmas table. Every family has its own recipe of this soup, it could be a plain dish, or it could be made with mushroom, fish or pork broth. Baked apples are one of Ukrainian Christmas dishes that kids like most of all. This dessert consists of apples baked with raisins and honey as well as cinnamon and allspice, which add special spicy aroma. These are the most traditional Ukrainian Christmas dishes you will try at the festive table. So, if you have a chance to visit our country at Christmas, do not hesitate and come. You will absolutely enjoy every bit of this celebration.